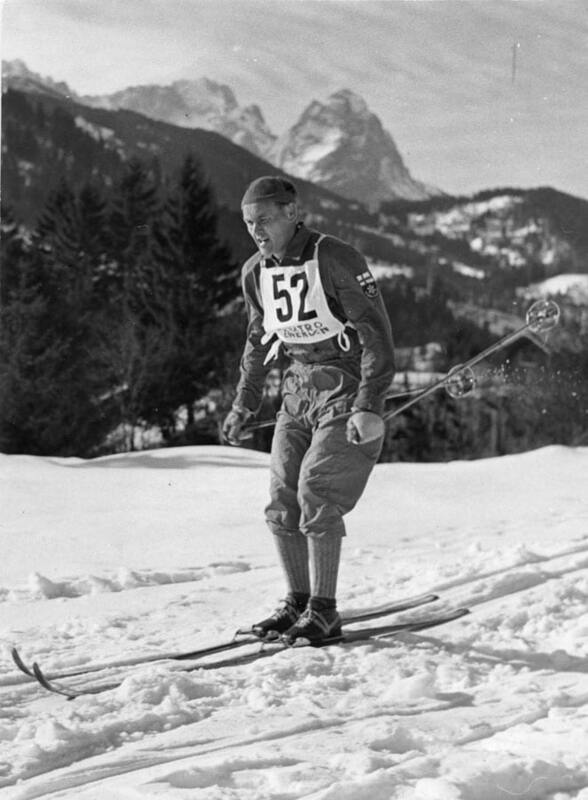 Skiing champion Veikko Hakulinen was Finland’s most popular sports hero in the 1950’s. Hakulinen took his first gold medal at the Olympic Winter Games of 1952 in Oslo by winning the 50-kilometre race in a legendary time of 3:33:33. He also won Olympic gold in 30 kilometres in Cortina d’Ampezzo 1956 and in the relay race in Squaw Valley 1960. Between Olympic years Hakulinen took world championship titles in 15 kilometres in 1954 and 1958. In his later years Hakulinen changed to biathlon. He took silver in relay at the World Biathlon Championships of 1963 and participated in Olympic biathlon in Innsbruck 1964. Veikko Hakulinen won the Finnish Athlete of the Year prize four times: 1952, 1953, 1954 and 1960.